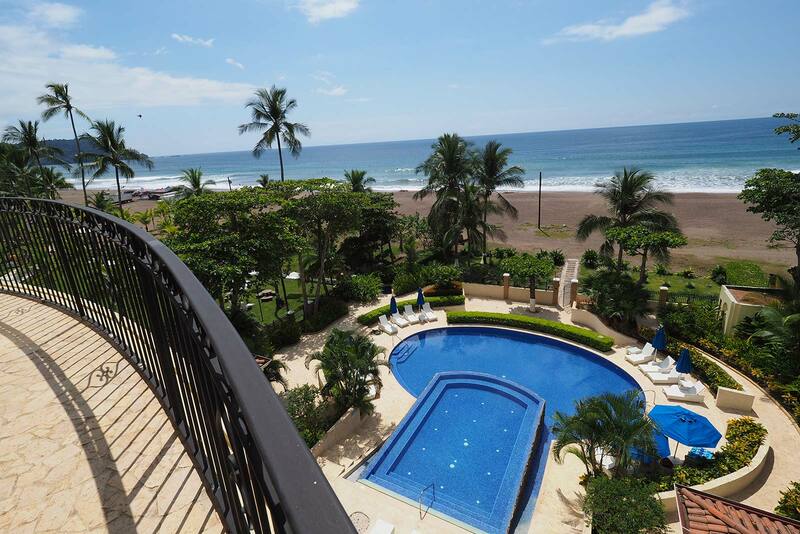 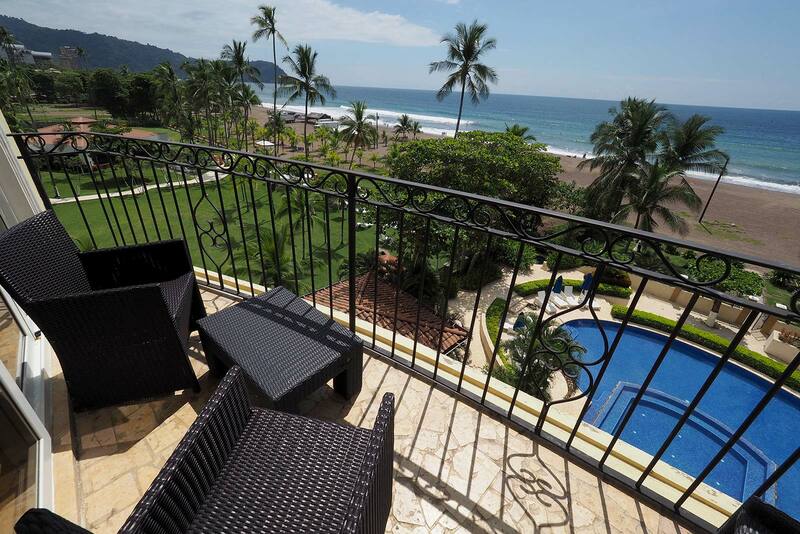 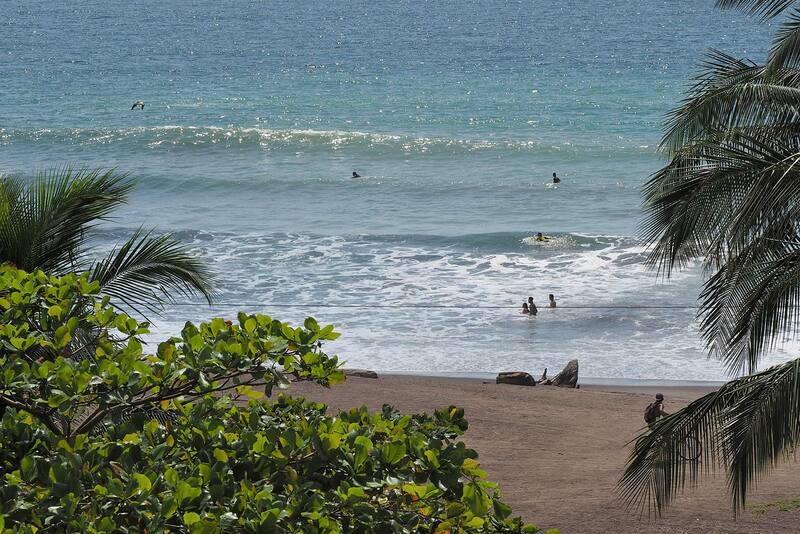 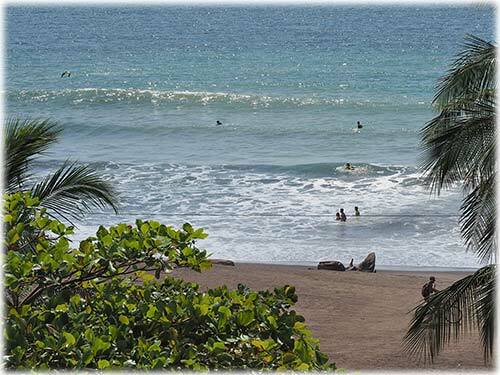 Be prepared to relax while watching the ocean view from this 2 bedroom condo where 6 people sleep comfortably, located on the fourth floor of a complex. 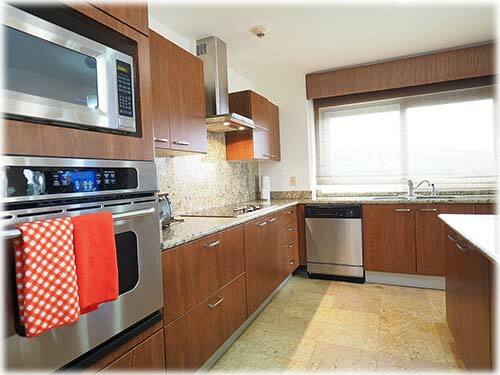 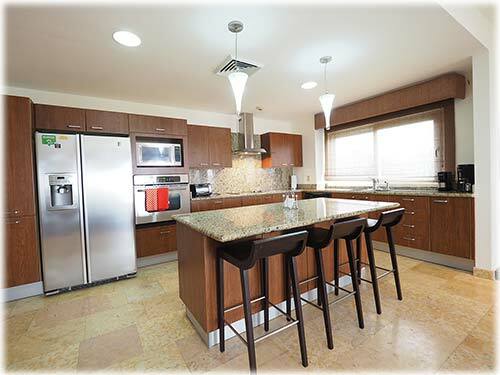 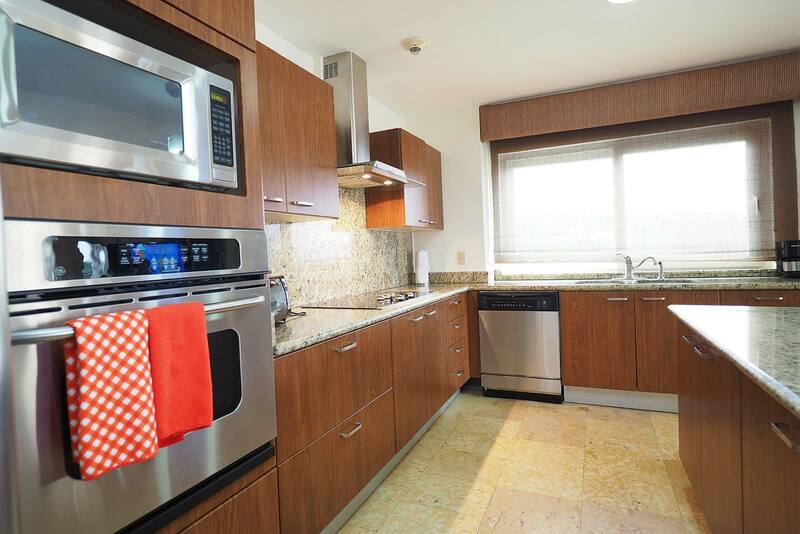 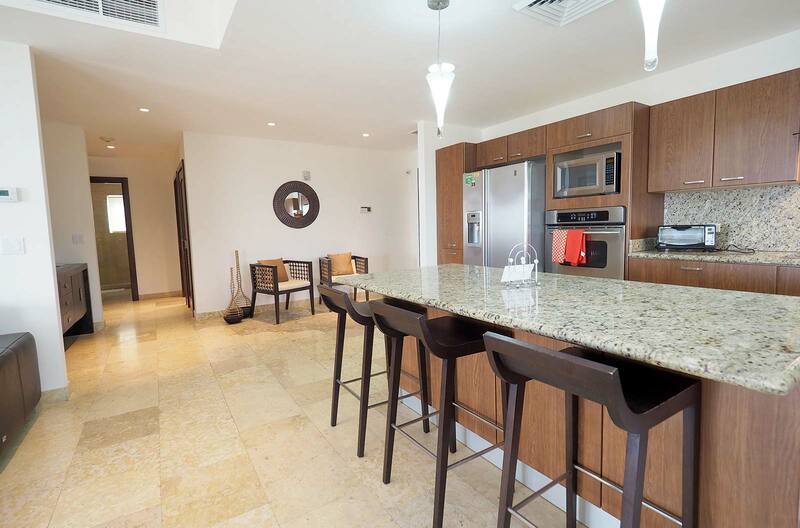 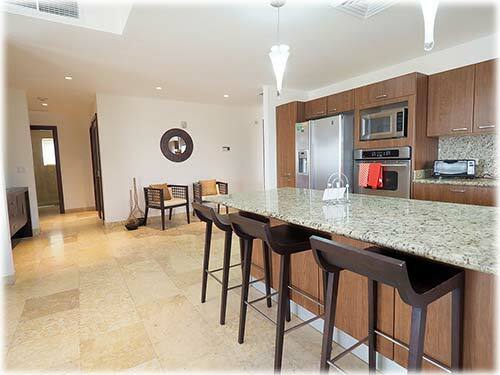 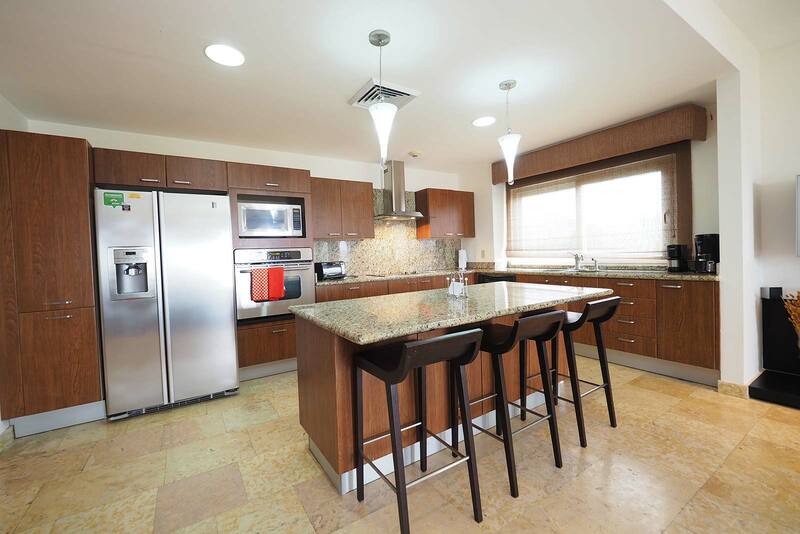 Entering the unit you will find a fully equipped kitchen with a central aisle and chairs, perfect to enjoy a quick breakfast before heading to the beach. 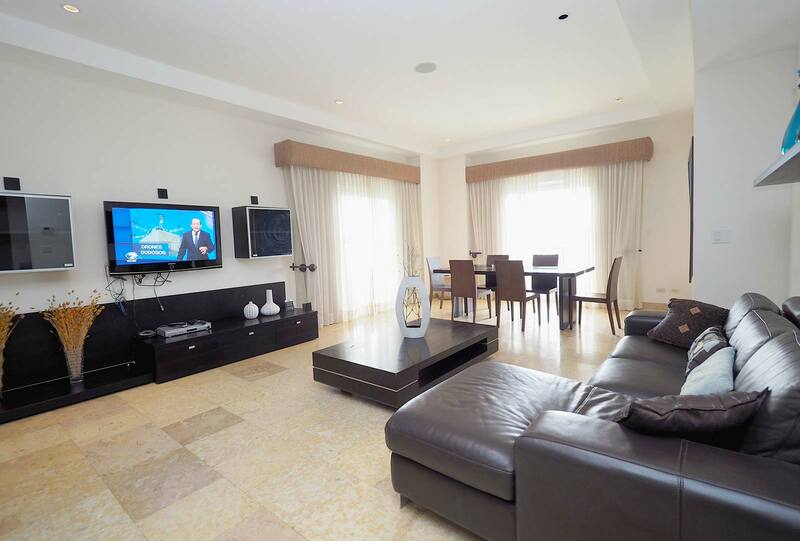 This space also includes the living room with comfortable sofas and a tv, right next to a dining table for six people illuminated by natural light by a big window with a balcony for the guests to relax and admire the views. 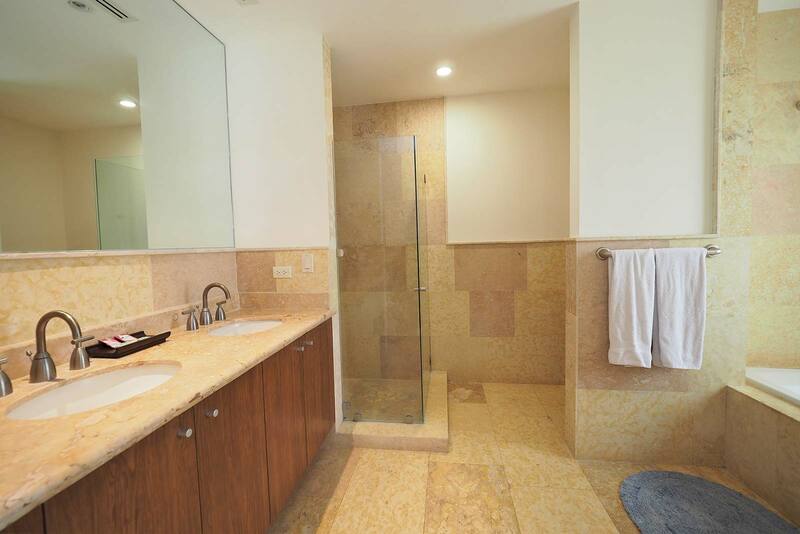 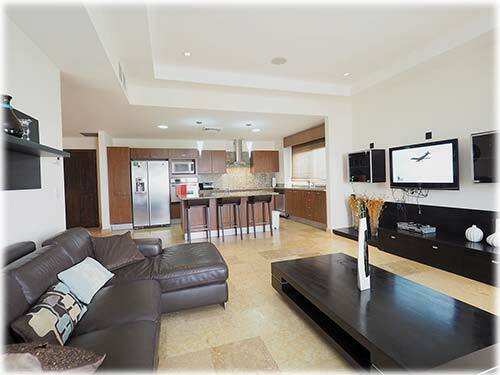 High-end finishings and luxurious details will be found in the entire property. 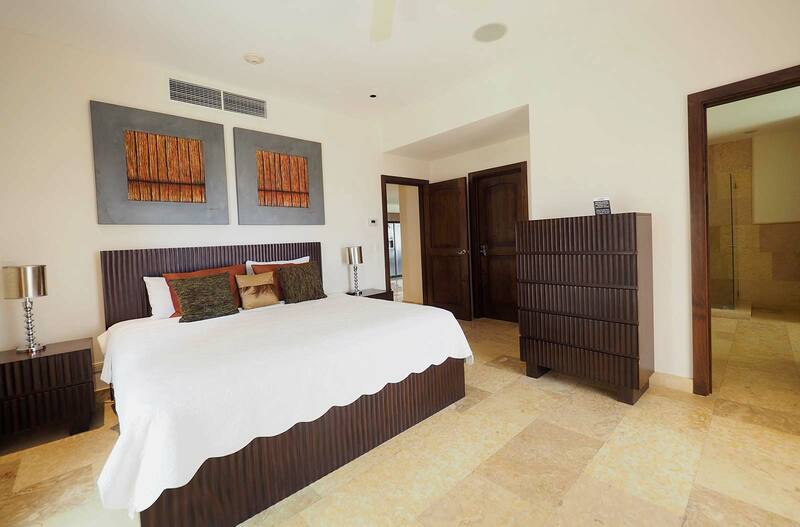 The master bedroom includes a king sized bed with a TV, a private ensuite bathroom with a bathtub and a shower, and a large balcony with ocean views. 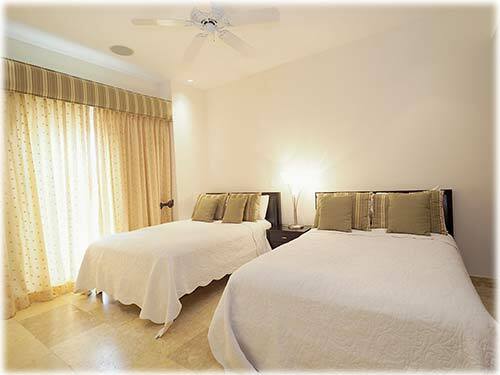 The second bedroom is equipped with two queen sized beds, and share an outside bathroom with the rest of the unit. 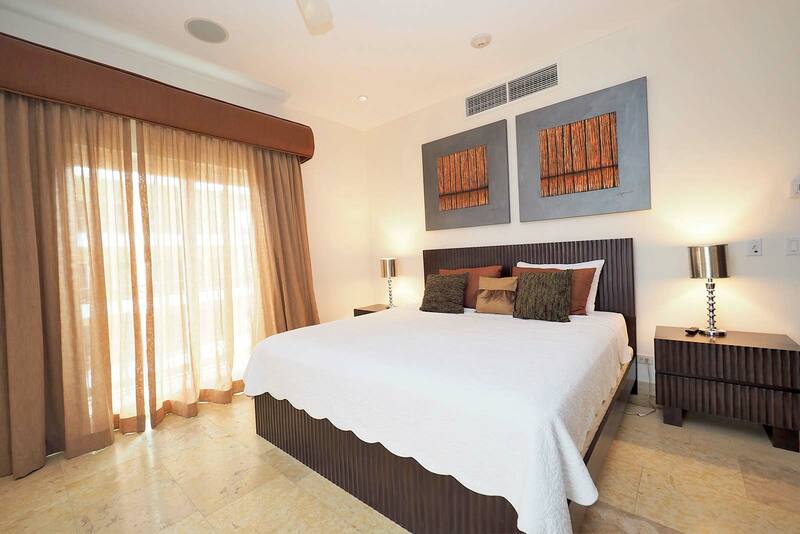 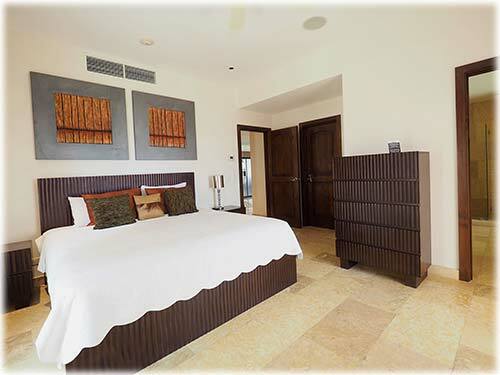 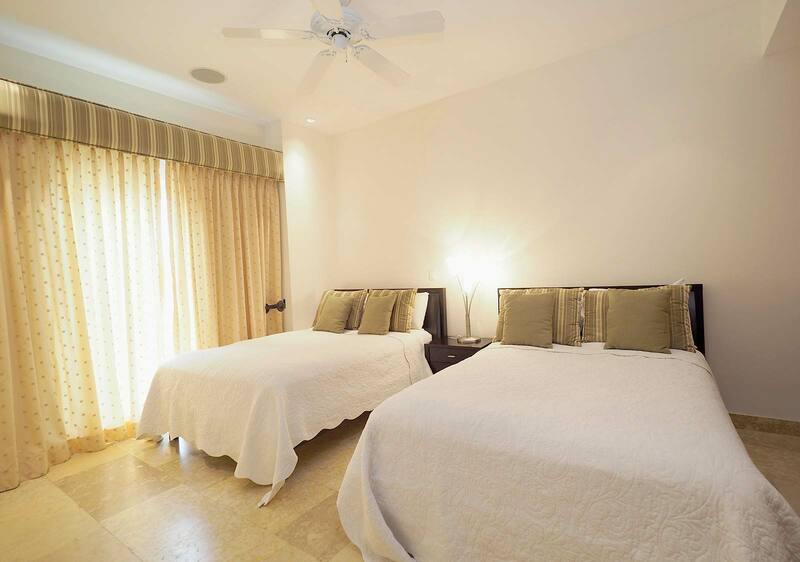 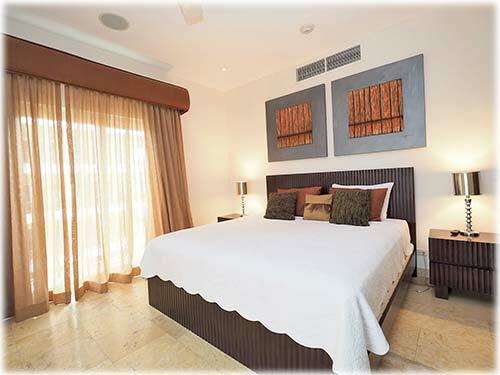 Both bedrooms include high-quality sheets and sophisticated details that make your stay a pleasant experience. 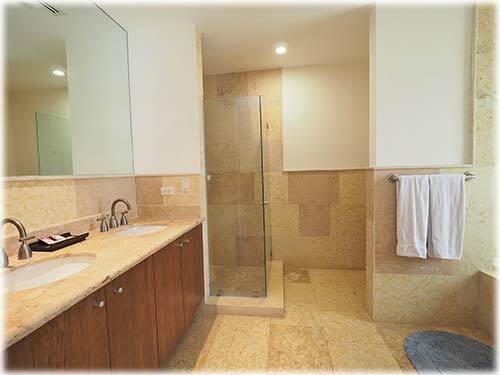 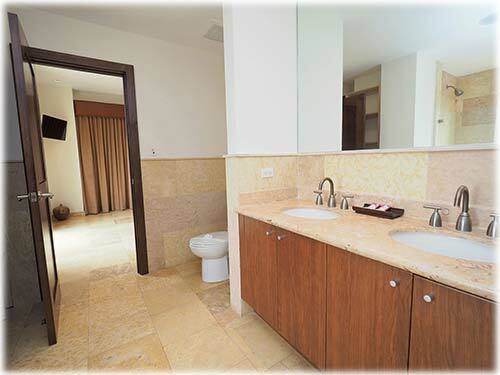 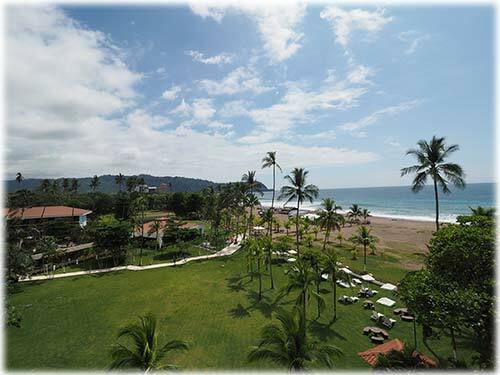 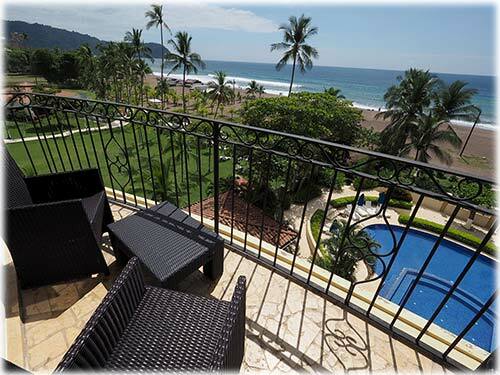 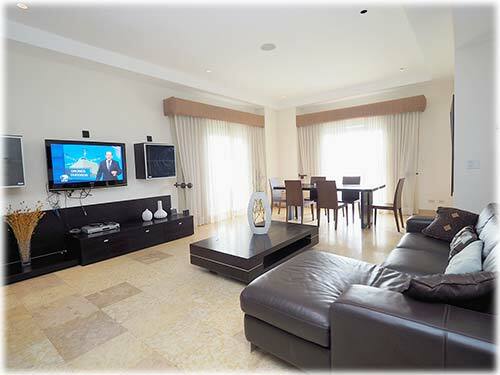 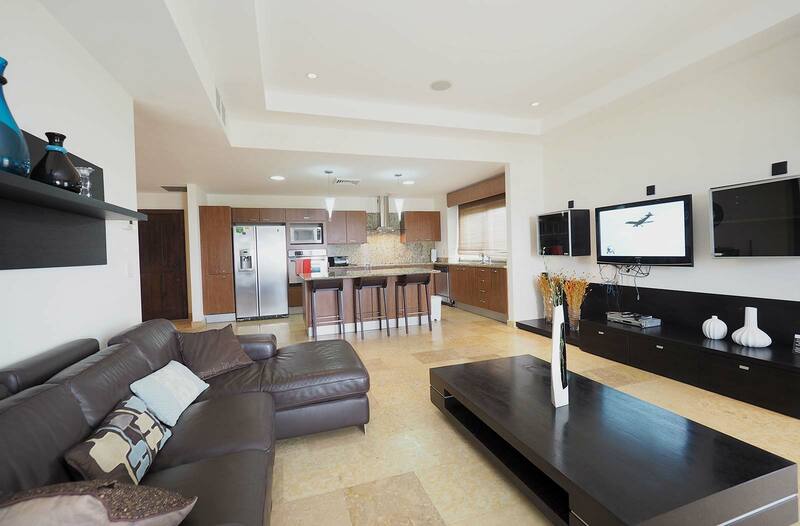 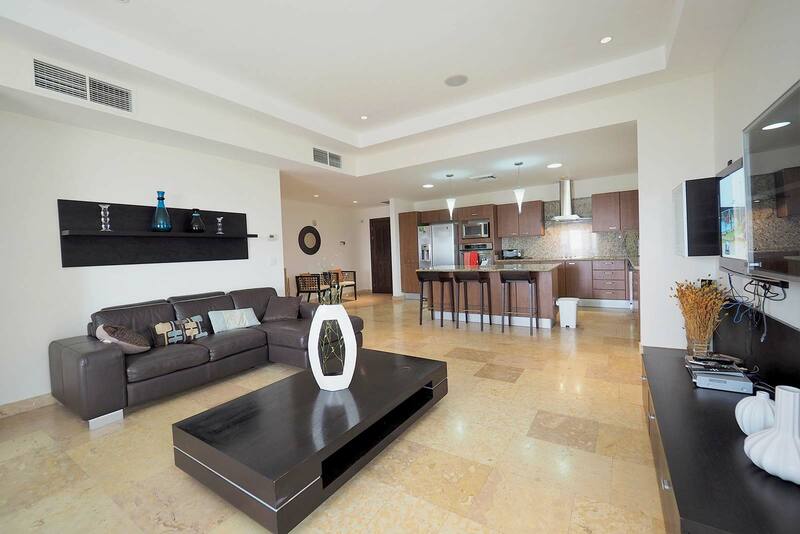 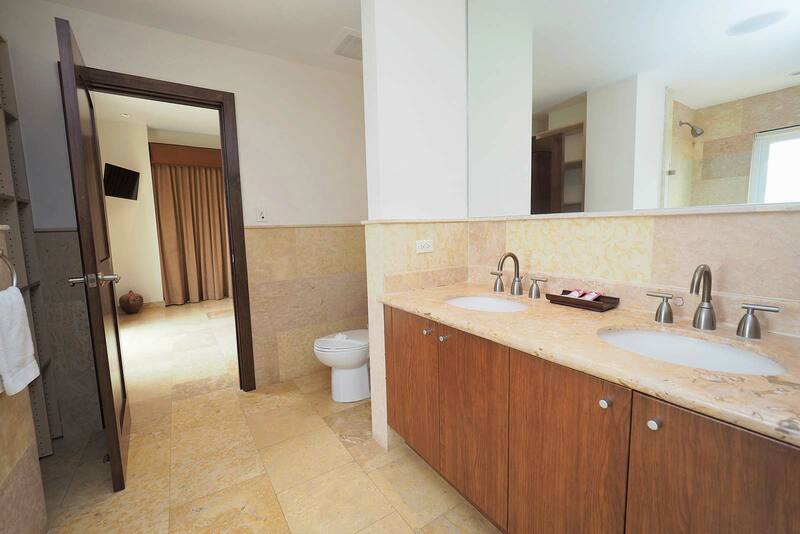 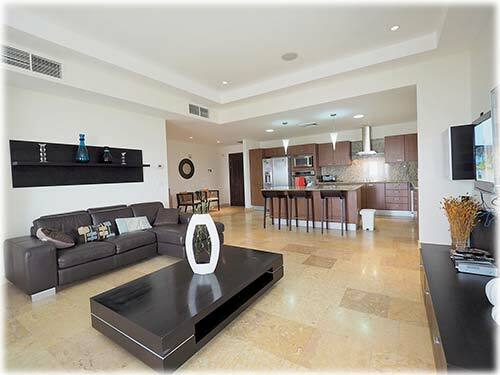 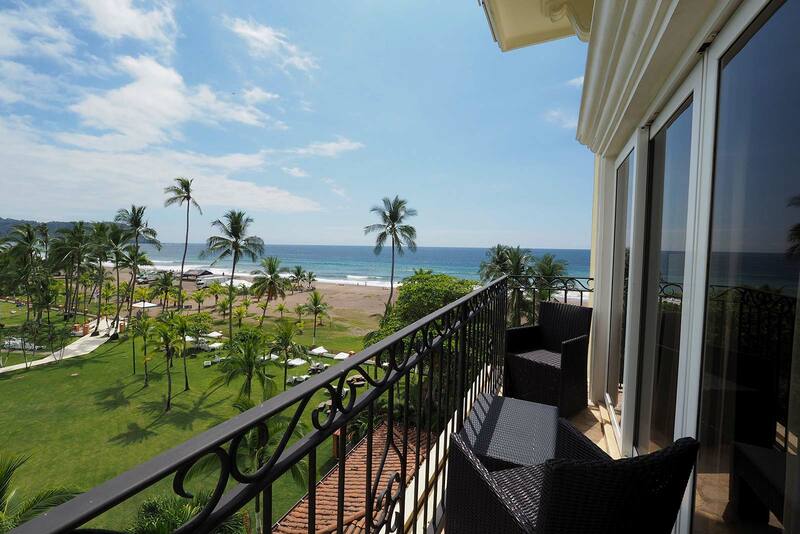 This exclusive and private residence offers plenty of amenities that the guests can use. 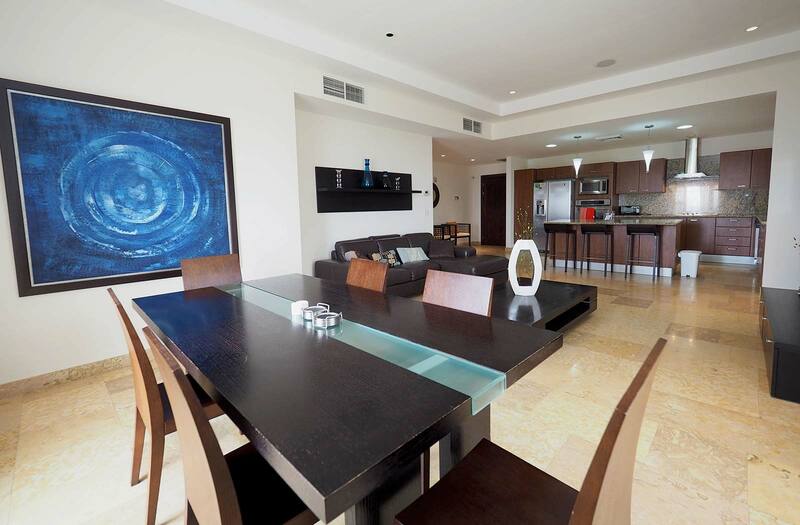 It has two pools (one for kids) and a jacuzzi, bathrooms in this common area, a gym, spa and BBQ area. 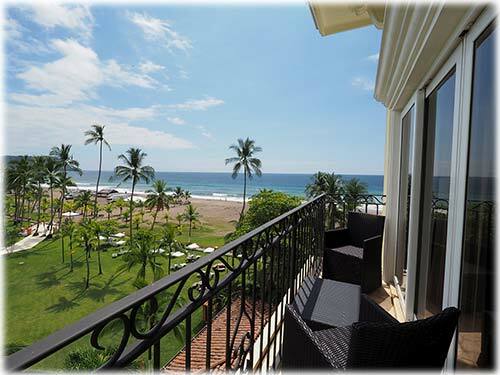 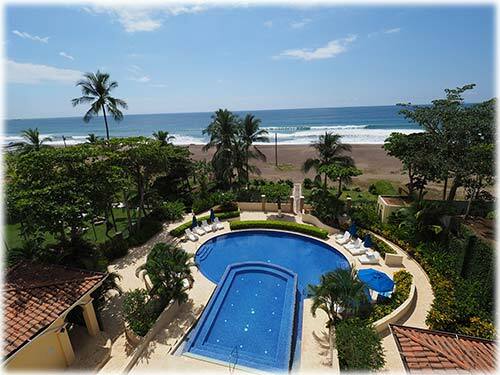 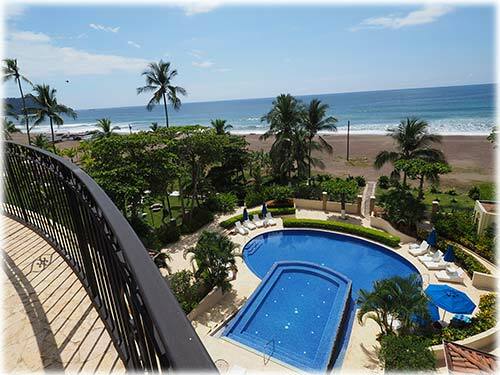 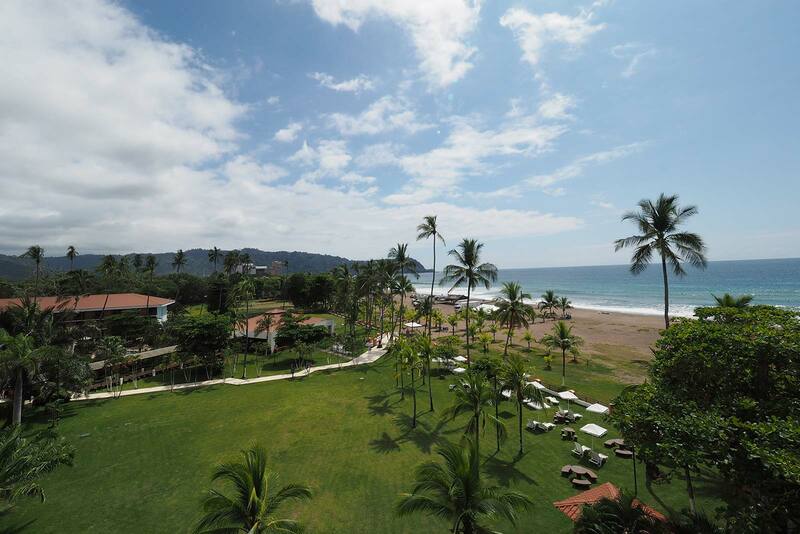 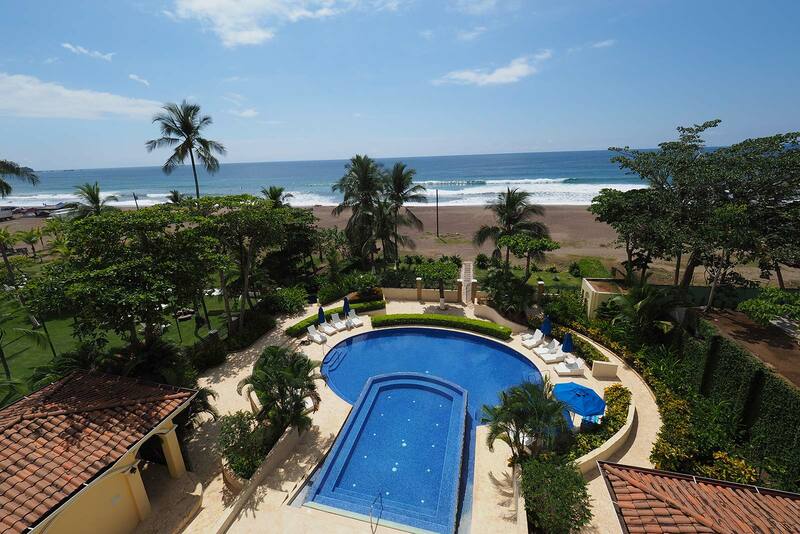 The privileged location of this beachfront residence benefits its guests by having the beautiful town of Jaco at walking distance. 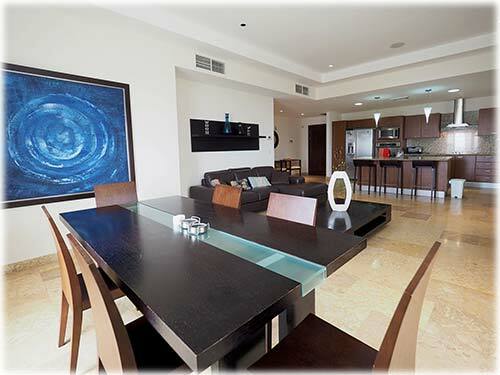 By being on the main avenue, within a few minutes, you'll be in the best restaurants and shops in this area.